Evoluz Translation Services offers professional Spanish translation services for English to Spanish and Spanish to English language combinations. We can also translate Spanish into over 100 other languages. In fact, Evoluz Translation Services has pioneered to be one of the agencies in the industry to translate Spanish to literally any language. Whatever your Spanish translation requirement is, we are confident that our translation team is experienced and qualified to handle the project to your highest satisfaction. Your satisfaction is guaranteed as our Spanish translators have the knowledge and expertise of using the appropriate terminologies needed for documents from different subject areas. We have excellent Spanish project management team and quality assurance editors who can localize any content or document. Our Quality Managers are assigned to specific projects as per their area of knowledge and experience. This will give you peace of mind as your documents are quality controlled by the best in the business. Variety of Services: Our other services in Spanish to English language combination are Spanish interpretation, voice-overs, transcriptions, and multilingual search engine optimization. 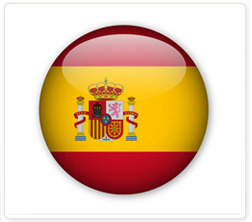 Spanish or Castilian (español or castellano) is a Romance language in the Ibero-Romance group that originated in northern Spain and gradually spread in the Kingdom of Castile, evolving into the principal language of government and trade in the Iberian peninsula. Castilian evolved from several dialects and languages in the northern fringes of the Iberian Peninsula during the 10th century, now collectively termed Spanish. Latin, the basic foundation of the Spanish language, was introduced to the Iberian Peninsula by Romans during the Second Punic War around 210 BC. During the 5th century, Hispania was invaded by Germanic Vandals, Suevi, Alans, and Visigoths, resulting in numerous dialects of Vulgar Latin. After the Moorish Conquest in the 8th century, Arabic became an influence in the evolution of Iberian languages including Castilian. Modern Spanish developed with the Readjustment of the Consonants (es: Reajuste de las sibilantes del castellano) that began in 15th century. The language continues to adopt foreign words from a variety of other languages, as well as developing new words. Castilian was taken most notably to the Americas as well as to Africa and Asia Pacific with the expansion of the Spanish Empire between the fifteenth and nineteenth centuries. As of 2009, 329 million people speak Spanish as a native language. It is the second most spoken language in the world in terms of native speakers, after Mandarin Chinese. Mexico contains the largest population of Spanish speakers. Spanish is one of the six official languages of the United Nations.